A £50 deposit non returnable if cancelled is required to secure your booking. Prices are plus a £50 bond. The balance is due 6 weeks or immediately if your holiday begins within 6 weeks. 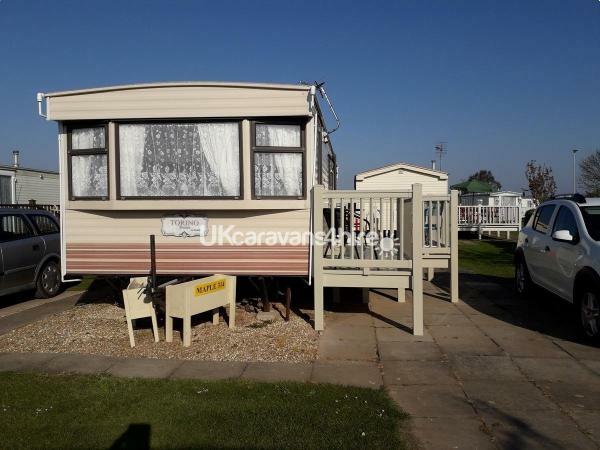 The bond is returned to you within 7 day's once the caravan has been checked and all key's and the gate pass are returned. £50 deposit secures your dates. the balance is due six weeks before your holiday begins. BOOKINGS ARE TAKEN FOR FULL WEEKS ONLY. SATURDAY TO SATURDAY. Vacating time is at 11am. No pets/No smoking in the caravan please. Ashtray left out side should you wish to smoke. 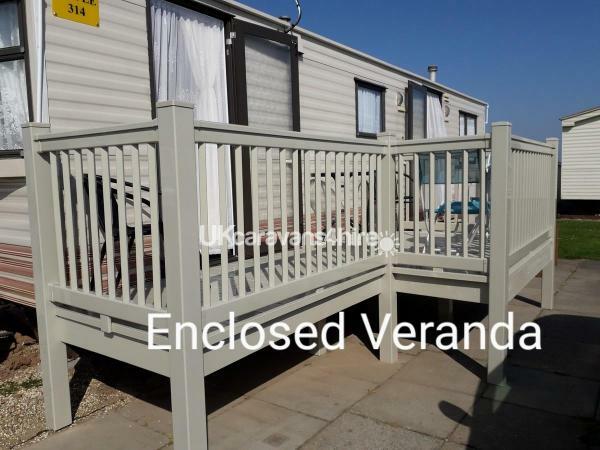 Prices are plus a £50 security bond returned if the caravan is left as found on your arrival. £50 deposit secures your chosen dates - non refundable if cancelled. Payments by cheque or bank transfer. Payment plans accepted. Payment in full at least four weeks before holiday commences. We provide a tea towel, dish cloth, washing up liquid, cleaning products, and toilet roll. All Bedding is included free. The living area is open plan with a corner bed settee spacious enough to relax and enjoy watching TV with free view and DVD'S. Please do not have the gas fire turned on when the settee is made into a bed. Please note We do not allow travel cots in the lounge area for safety regulations. 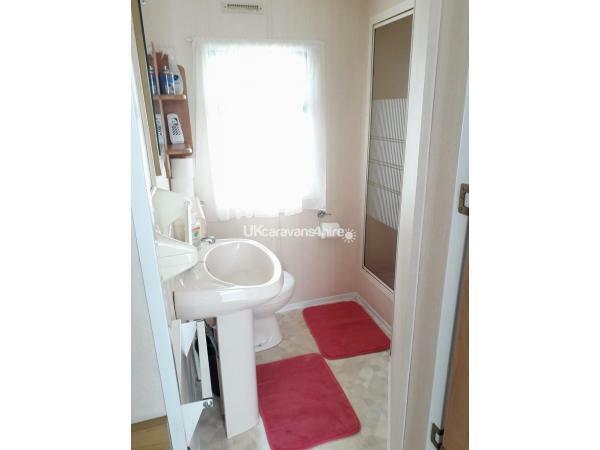 The bath room has the shower basin and toilet in one room. 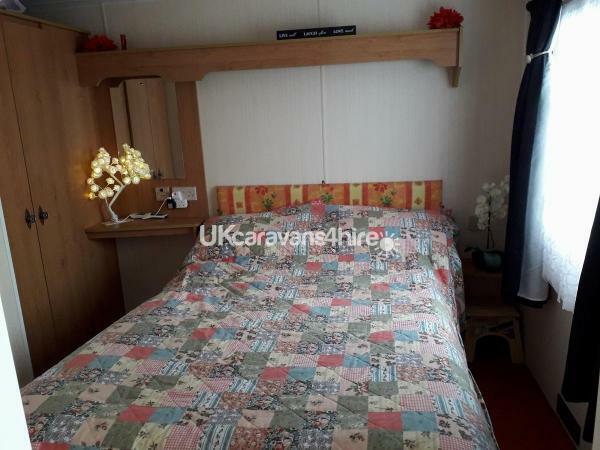 The caravan is heated by a gas fire in the lounge area and electric heaters in the bedrooms, Gas, electric water are all included in the price. 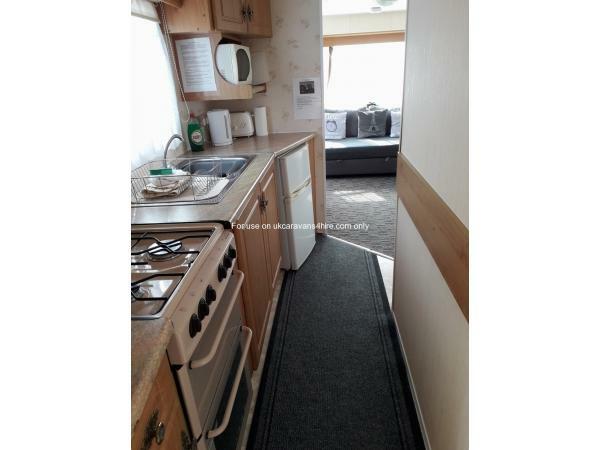 The kitchen has plenty of storage and has a gas hob and oven, under counter fridge, microwave, toaster and kettle, as well as all crockery, pans and utensils. The dining area is just after the galley kitchen just as you go into the lounge area, it can comfortably seat 4 people. 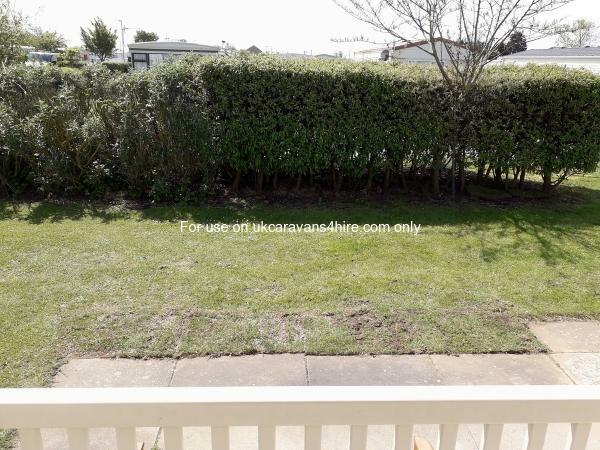 Two bedrooms one with double bed and one with two single beds and a pull down over bed for a small child only. 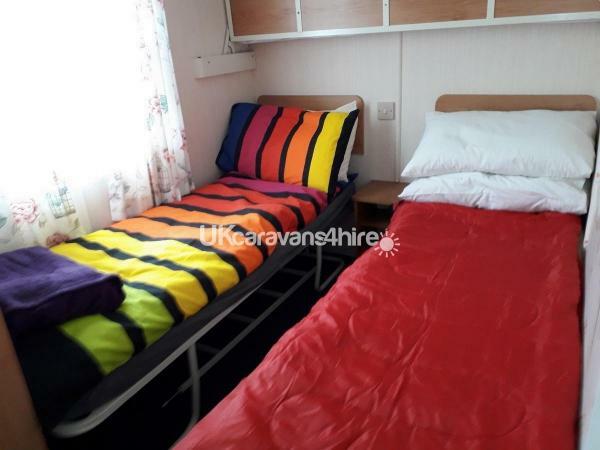 Our caravan is well appointed, whilst being just two minute walk to Fantasy Island and it's market, all the fast food places and BJ's family bar and entertainment and of course the beach. Kingfisher Park has a launderette, mini market and children's play area. It is a private Park with CCTV, security patrols every hour and a card operated barrier system for entry and exit to the site. Site rule book is available in left in the caravan to view should you wish to. Kingfisher Park itself is very quiet, yet right in the heart of all the action of Ingoldmells. 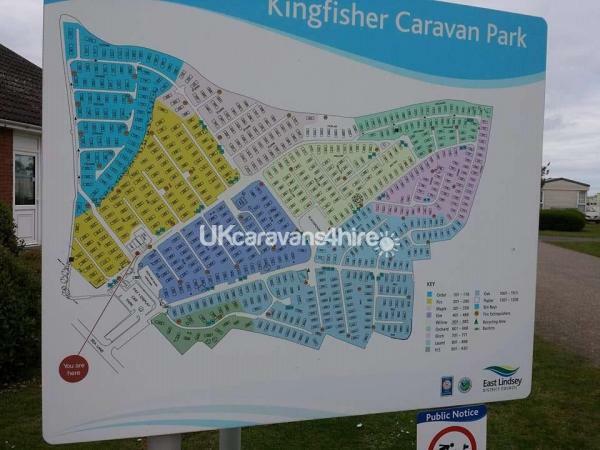 It is joined onto Coastfield Holiday Village, Kingfisher's sister park, Accesses to their amenities are charged separately via Coastfield's. Locally there are numerous bars, restaurants, cafes, clubs and arcades. The beautiful beach is only 10 minute stroll away. Hardy's Farm and Butlins are only a 5 minute drive away. 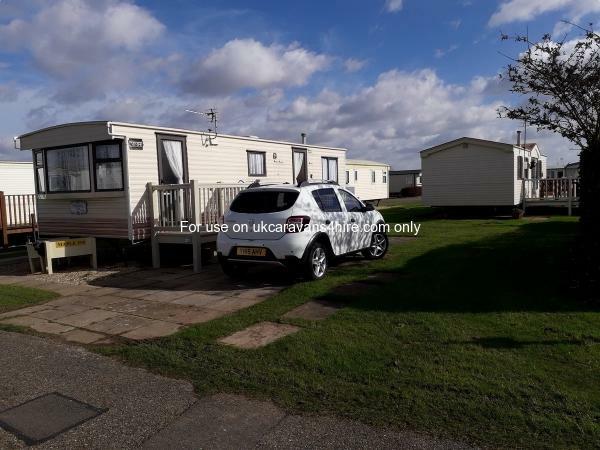 Skegness town and sea front with its pleasure beach, fun fair, shopping, restaurants, Seal World and lots of parking, is just a short bus ride or drive away. 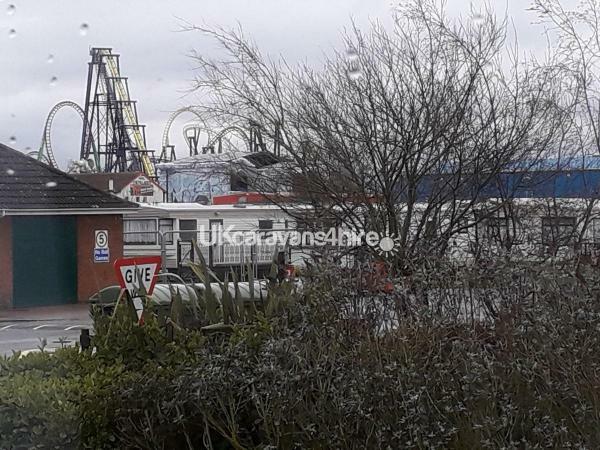 There is an extensive bus service to Skegness every 10 minutes and buses stop right outside the Park. Of course there is also the railway station in Skegness for non drivers, with regular services to the nearby resorts. Additional Info: Small children's play area, shop and Laundrette.